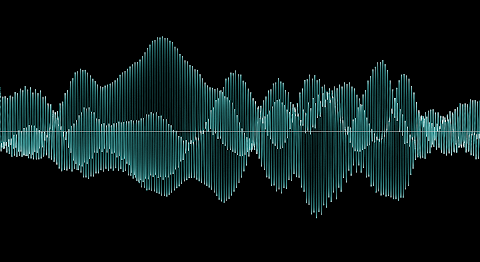 When PCM waveforms and similar oscillograms are displayed on screen, computational speed is often preferred over beauty and information content. For example, Audacity only draws the local maximum envelope amplitude and (what appears to be) RMS power when zoomed out, and when zoomed in, displays a very straightforward linear interpolation between samples. 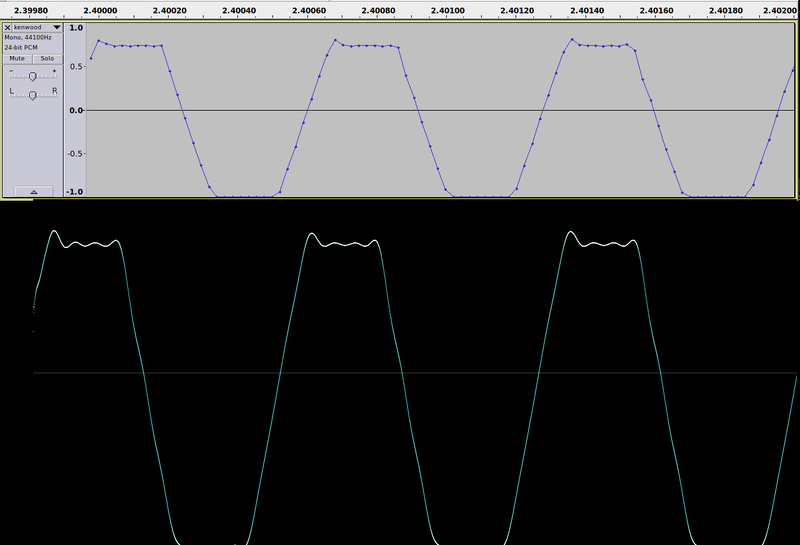 Analogue oscilloscopes, on the other hand, do things differently. An electron beam scans a phosphor screen at a constant X velocity, lighting a dot everywhere it hits. The dot brightness is proportional to the time the electron beam was directed at it. Because the X speed of the beam is constant and the Y position is modulated by the waveform, brightness gives information about the local derivative of the function. Now how cool is that? It looks like an X-ray of the signal. We can see right away that the beep is roughly a square wave, because there's light on top and bottom of the oscillation envelope but mostly darkness in between. 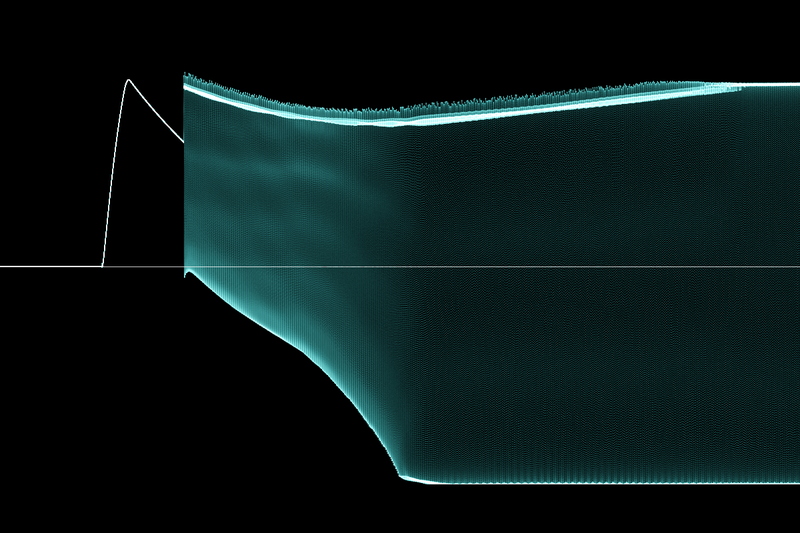 Minute changes in the harmonic content are also visible as interesting banding and ribbons. Relevant code for scientific interest in this Gist. That last one is pretty sweet! so nice! 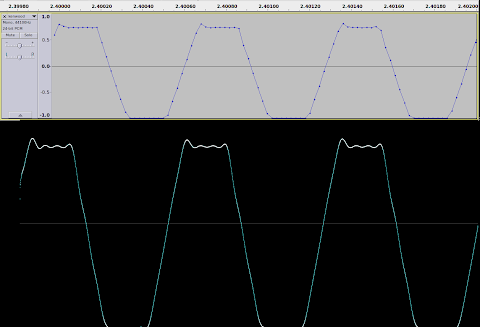 Sometimes I still pull out an old analog spectrum from the 70ties as it's the only thing at the lab that's fast enough to show the "ghosts" of parametric oscillations etc. This is visually just way to awesome ! I read through your blog, and only now realized that the aweseome modem sound poster was done by you. I hope you know you made a lot of people very happy for half an hour. I've also looked into this a bit. 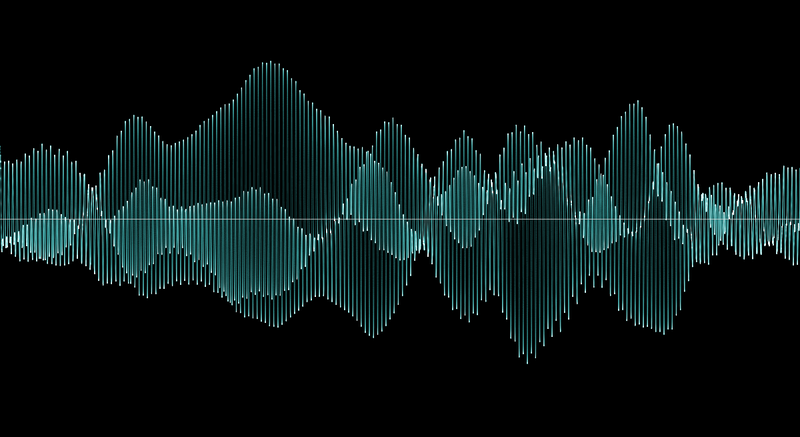 I wrote a simple cairo-based program that can do sinc interpolation and phosphorus-like waveform rendering based on the (estimated) derivative of the signal. https://bel.fi/alankila/test.png is my current result. It is missing gamma correction so it looks a bit poor at this moment. Adding to below: the test.png file has now been updated with gamma corrected rendering using 12 bits per pixel resolution. Beautiful! The people who make popular waveform editors should be encouraged to show the data this way, or at least include the option. How did you oversample the sound at 3MHz? I can't sample anything higher than the rates in the dropdown list, even if the rate is a multiple of 44.1k. This is gorgeous, thanks for the writeup. Also your other posts are consistently awesome as well, it's always nice to find blogs/sites like this with such high signal/noise ratio!